As nursing director, Copeland oversees the Licensed Practical Nursing, Patient Care Assistant and the Associate in Science degree in Nursing programs. Together, the programs have nearly 600 students. Copeland said although she enjoys teaching, she looks forward to serving in the administrative role to continue to enhance the programs. Prior to joining the PBSC faculty in 2000, Copeland worked in clinical roles and in quality management at St. Mary’s and Good Samaritan hospitals. 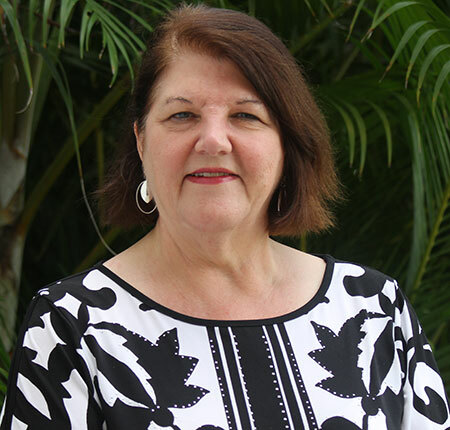 She has worked tirelessly at PBSC to support the nursing program based at both the Belle Glade and Lake Worth campuses. She served as department chair of the Belle Glade campus site after it was established in 2009. She also served as the interim director of the PBSC RN to BSN program in 2015. Copeland has been a trendsetter with other faculty in enhancing the use of technology in the classroom and the adoption of simulation. She is a member of Sigma Theta Tau International Nursing Honor Society, Florida Nurses Association and the National League for Nursing. She has been the advisor for the College’s Nursing Student Association for 11 years. Copeland holds an A.S. degree in nursing, bachelor’s in general studies and a B.S.N. from Shenandoah College and Conservatory of Music. She also holds a M.S.N and a Ph.D. in nursing from Barry University.